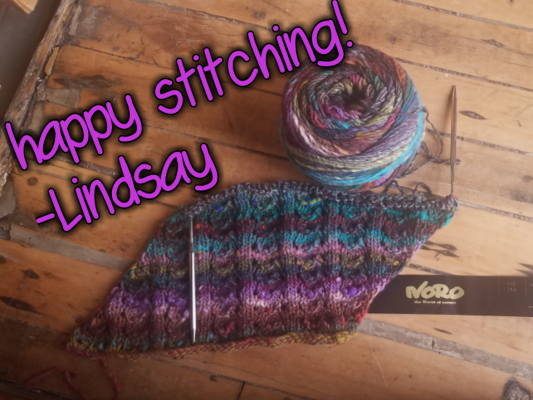 August is only half over, but I've already been to Lake Michigan for a vacation, Stitches Midwest with 51 other stitchers, and celebrated my birthday. Talk about BUSY! 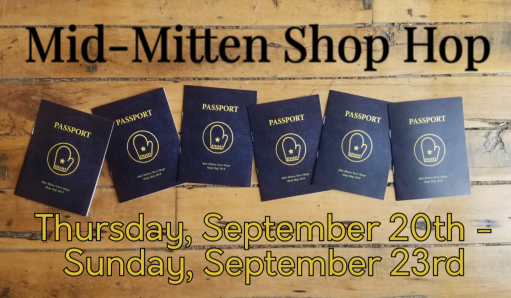 We are now gearing up for sweater weather season (aka fall and winter, to non-knitters) and that means that it's time to sign up for the Mid-Mitten Yarn Shops Shop Hop! Join us for the Mid-Mitten Shop Hop Thursday, September 20th to Sunday, September 23! YG will be hosting trunk shows with two of your favorite local makers, Jean Story of Mid Mitten Designs (with her AMAZING project bags) and AJ Bishop of AJHC Wools (gorgeous, addictive yarns). A fabulous new worsted weight yarn is here from Noro, called Ito. This gorgeous, 100% wool yarn is unique in two ways. Number one, it is a HUGE amount of yarn... a 200 gram ball with about 440 yards. Second, it is self-striping, like most Noro yarns we love, but in Ito, the color sequence NEVER repeats! You'll recognize the feel of the wool, it is the same wool used in Kureyon. 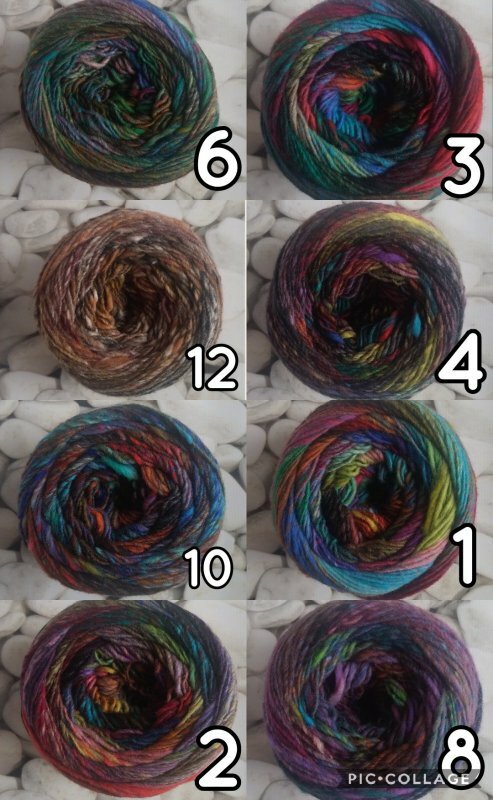 In fact, it is essentially 4 skeins of their best-seller, all wrapped up in one beautiful yarn cake, with a striping sequence that never repeats. Keep reading to see what I chose to cast on with this beauty! Click here to see Ito! So much of my knitting these days are consumed with secret projects, like my designs for Seed Club and other events, that I don't always have much I can share! But I knew I HAD to cast on with Ito, so I found the perfect scarf... this is the start of the Tilted Lace Scarf by Susan Ashcroft, and you can find the pattern in the Noro Kureyon: 30th Anniversary hardcover book. Color number 4 was the ball that kept yelling at me, ordering me to create something beautiful with it. Who am I to argue with a big, bossy ball of yarn? ?